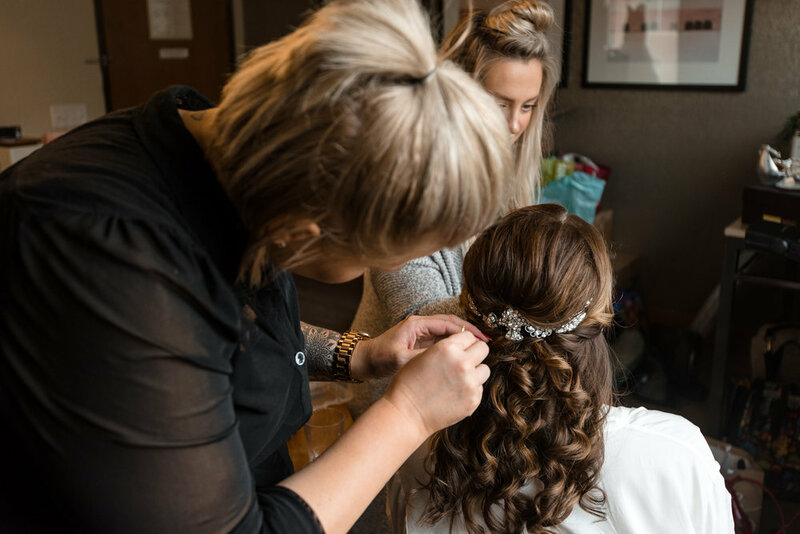 Lauren featured a sparkly and stunning circlet after her hair and makeup were done. 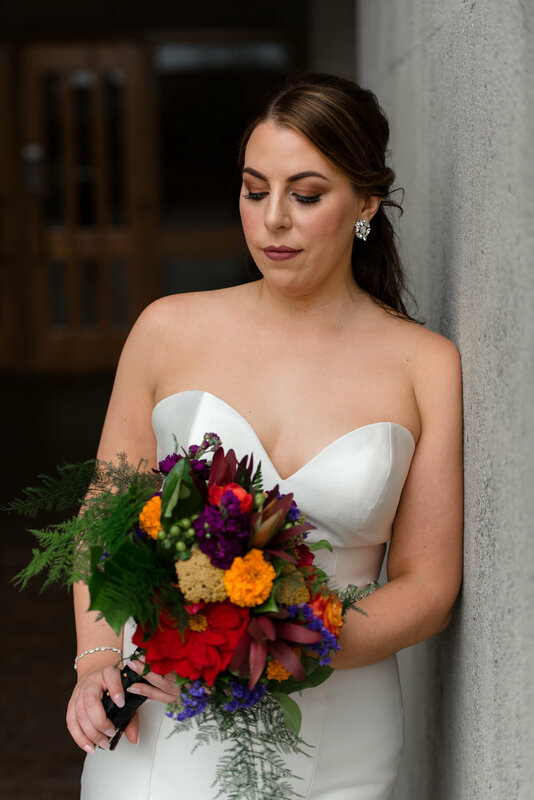 After everybody was ready, Lauren and Todd had their first look in Lauren's room at the Watertown Hotel in Seattle, Washington. After their first look at the Watertown Hotel, Lauren and Todd had a private, classic car take them to the University of Washington for wedding party and family portraits. 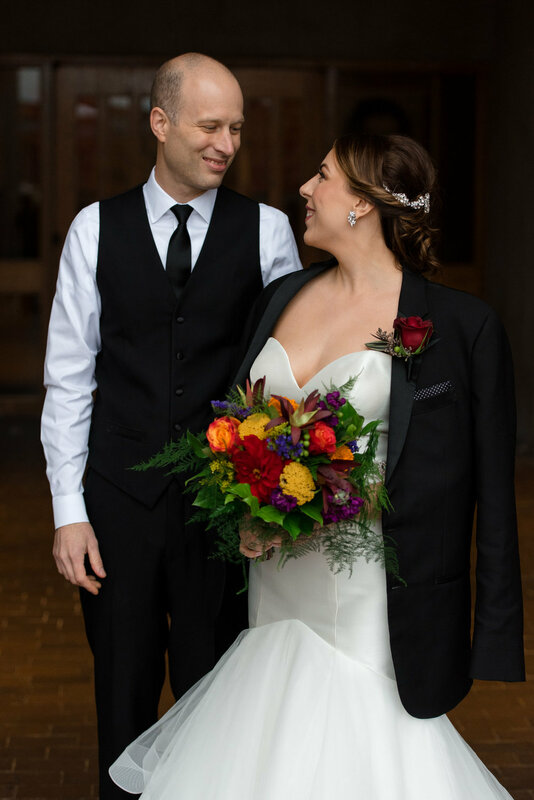 While Lauren and Todd waited for their friends and family to arrive for photos, Todd kept Lauren warm with his jacket. In classic Seattle fashion, Lauren and Todd sported a clear umbrella for the rain. After family portraits around campus, Lauren and Todd snuck inside Suzzallo Library for a few staircase and reading room photos. After photos at the University of Washington, Lauren and Todd headed over to Lake Union Cafe for their ceremony. Lauren's father walked her down the aisle. And Lauren and Todd were married! After the wedding ceremony, Lauren and Todd shared a quiet moment together outside of the venue. Afterwards, they went back inside and had some fun with their wedding guests! ...and listened to some funny, intimate, and adorable wedding toasts! ...and danced the night away! In romantic fashion, Lauren and Todd were married!